I’m a former JET. I was in Tochigi so many years ago. 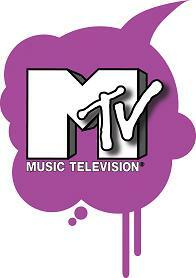 I’m now a TV producer and MTV is searching for a host for a Japanese game show pilot. We’re looking for someone who appears to be Japanese or of Japanese descent and appears to be between 21-35 years old. I wanted to circulate this among JETs and former JETs ASAP. I’m looking for Americans, perhaps Canadians, as well… but I didn’t want to rule anyone out. All they have to do is email me a video clip and we’d take it from there. People that exude a lot of enthusiasm, have wicked personalities, distinct styles and possess a unique charm on tape should apply ASAP. The perfect candidate would have a Johnny Knoxville-like appeal. If this describes you, please email nycastingteam@gmail.com immediately. Television credits are not necessary. Improv / comedy backgrounds are a plus. There will be compensation. It is an amazing opportunity for the right talent, so please email nycastingteam@gmail.com with a headshot / pic and let them know why youâ€™d be the perfect game show host. Must be well-versed in the English language. Union and non-union okay. Taping will be in New York. So if you are Asian, have a Johnny Knoxville-like charm, and are dripping with enthusiasm, email nycastingteam@gmail.com . There was an MTV email address also listed in the message sent to NEJET. Good luck!